David Gorson is an accomplished real estate professional with a diverse set of skills and experience within the industry. David has a successful track record of real estate investment, development, management, financing, and brokerage. David has orchestrated hundreds of transactions from contract to closing and is experienced repositioning and managing a wide range of product types including residential single and multifamily, office, retail, and industrial properties. David is a licensed Florida real estate broker, and an active member of the Florida bar. Beginning his career working for some of the top real estate investors, developers, and finance companies in South Florida, David gained invaluable experience working for the Development Group of South Florida, the Related Group, and Yale Mortgage. 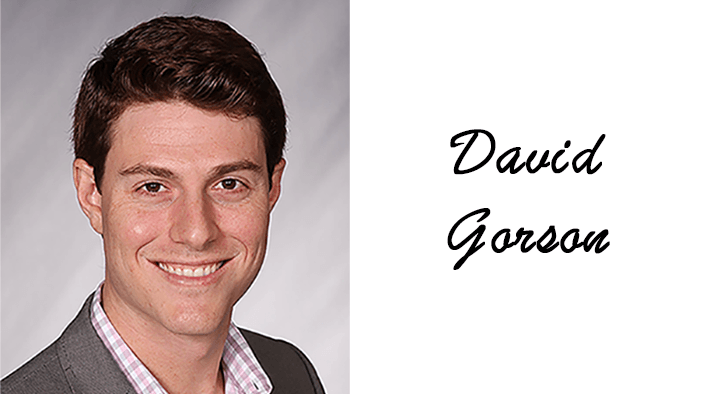 In 2011, David launched his own investment and brokerage companies and achieved tremendous success acquiring and repositioning distressed real estate assets to form a portfolio over 150 properties, which is currently managed by the Gorson Cuervo Group. David oversaw acquisition, renovation, leasing, and management of the portfolio properties. In addition to his investments and brokerage work, David performs third party property management and is has a ground up real estate development project in the works. Educated at some of the country’s premier institutions, David earned his J.D. from UCLA Law School, and a B.A. in Economics with Distinction from the University of Virginia. As a Miami native, David attended Ransom Everglades high school in Coconut Grove, and is a fluent Spanish speaker. David is passionate about community service, and he is an active member and volunteer for various charitable organizations in South Florida including Big Brothers Big Sisters, Make-a-Wish, and Habitat for Humanity. David served as a mentor for approximately 10 years through Big Brothers Big Sisters of Miami, and was a member of the golf tournament fundraising committee for several years. David was also a member of Make-A-Wish Champions, which is a young professionals group with a 5 year commitment to make an annual donation as well as to participate in events and help with fundraising. David brought his company out for several build days for Habitat for Humanity and helped raise money for that organization as well.